Project Rachel offers opportunities for reconciliation and healing for women, and for all, who suffer emotional and spiritual pain from an abortion experience. 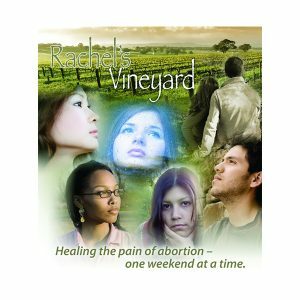 Project Rachel tries to reach out to others with the compassion and mercy of Christ encouraging everyone to learn about post-abortion healing and to listen with compassion. A confidential phone line or confidential email to our Project Rachel coordinator who will listen to your needs and help you find a path toward healing. Options include: referral to a counselor or priest who will lead you through the process of mourning, while conveying the healing forgiveness and love offered by Christ, participating in a retreat or speaking with someone who has found healing through Project Rachel. A library of books, brochures, articles, videos, and other materials available in both English and Spanish. Designed to help anyone who struggles with the aftermath of abortion, the weekend is a process designed to help you get away from the dailypressures of life to focus on buried emotions and begin healing through a supportive, trauma-sensitive approach. Each weekend is run by a team of trained volunteers (counselors, priests, and lay people), who care deeply about your healing and are sensitive to your needs. Many team members have suffered the trauma of abortion. We understand that your loss may be something you have never shared with another person, even those who are closest to you. All interactions with the Rachel’s Vineyard retreat team are completely confidential. Retreat weekends are generally held in the spring and the fall in the Greater Grand Rapids area. We also hold a retreat in Kalamazoo once a year. Weekend Retreat Fee: $150 (includes room for two nights, meals, and retreat materials). No one will be turned away for inability to pay the retreat fee. Scholarships are available. To ensure your reservation, please register early. Deadline is one week before the retreat. If you have missed the deadline, please call or e-mail to see if space is still available. All correspondence and phone contact is completely confidential.